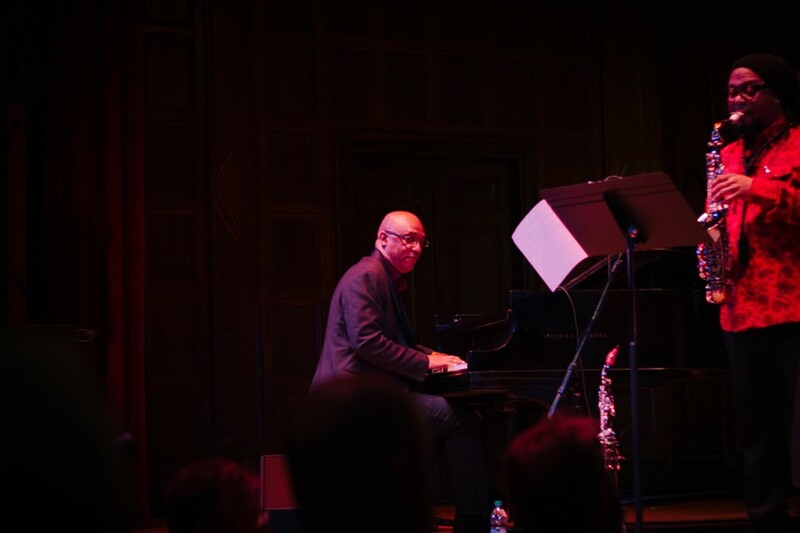 Billy Childs opened his Kilbourn Hall show in a gallop and hardly let up throughout the hour-long set. He played the piano with the sort of wild abandon that can only come after decades of painstaking practice and extensive experience. 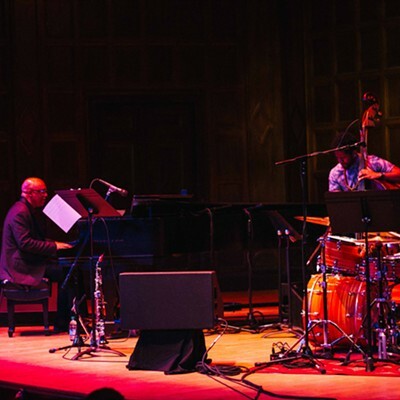 His quartet -- with Dayna Stephens on saxophone; Ben Williams, bass; and Ari Hoenig, drums -- operated like a well-oiled machine, perfectly in sync with Childs. Childs played mostly original compositions and each one was totally distinct from the others. 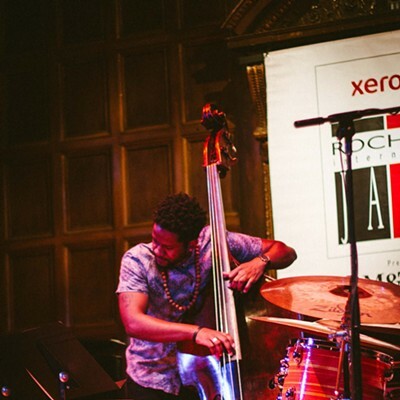 While the opener, "Backwards Bop," was a hard-bop burner, his other tunes experimented with time signatures in complex ways. No matter what the tune was, Childs's solos were brilliant, with shimmering right-hand runs punctuated by chordal bursts. He would play in time, syncopate to the time, and venture outside the time, but made perfect sense every time. 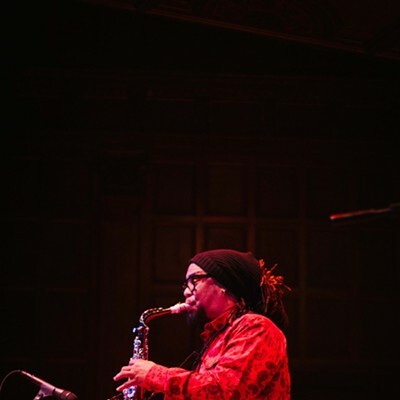 Another great featured soloist, Stephens tended to play in John Coltrane-style sheets of sound. Williams contributed a beautiful bass solo on "Peace," the one non-original tune and the only ballad of the set. Hoenig excelled on every short solo he took trading eights. 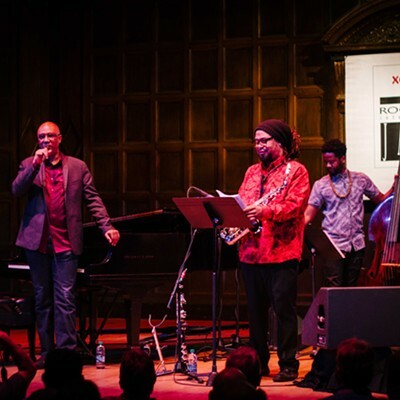 The Billy Childs Quartet won't perform again during this year's XRIJF. 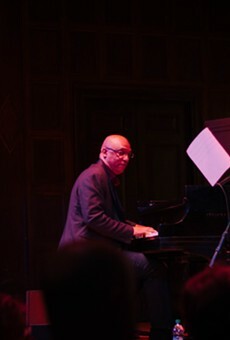 billychilds.com. When I took a seat at the Lutheran Church, I wondered if I would prefer Eivør in the context of Yggdrasil more than on her own. That notion was quickly dispelled. Eivør has an absolutely remarkable voice, and I couldn't get enough of it. There was a difference; in general, the tunes were catchier and more pop-oriented than those of Yggdrasil. But they were wonderful songs, a strange combination of her Faroe Islands folk roots and the music of the global village she now lives in. Even the instrumentation was a cross between the primitive (a Faroe Island hand drum) and the futuristic (synthesizers and petals). Her two bandmates were excellent, one providing bass, keys, effects, and guitar, the other on drums and absolutely perfect harmonies. The audience in the church hung on every word of her ethereal singing. There seems to be some Kate Bush influence in her style, but there is more than enough originality to make it her own. The set was dominated by original songs, many in Faroese, but she also sang a lovely version of Leonard Cohen's "Famous Blue Raincoat." Eivør's stories -- one about stalking Leonard Cohen, finding his house, and knocking on his door (he wasn't home) -- were always endearing. The local crowd appreciated her account of visiting the House of Guitars on her first visit here 12 years ago and buying her first electric guitar, and how she ended up there again today. "I knew it would be dangerous," she said as she held up a second electric guitar that she proceeded to play for the first time. Eivør isn't performing again during XRIJF 2017. For more, check out eivor.com. I ended the evening at Xerox Auditorium where the Gabriel Alegria Afro-Peruvian Sextet was laying down a rhythmic feast. 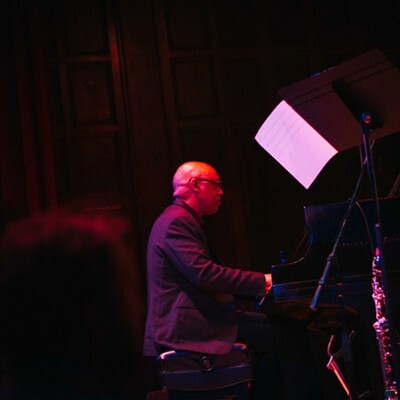 Every time percussionist Freddy Lobatón took a solo on his Cajón (a wooden box that he coaxed an extraordinary range of sounds from) the audience responded enthusiastically. Solos by Alegria (trumpet) and Laura Andrea Leguia (saxophone) also excelled. The set was pretty free-ranging, with a Peruvian-tinged rendition of Duke Ellington's "Caravan" evolving into a long parade of other tunes, resulting in a half-hour of non-stop music. That's it for the Gabriel Alegria Afro-Peruvian Sextet, but you can find more at gabrielalegria.com. Sunday night, I'm looking forward to hearing Bill Frisell at Kilbourn Hall. Then I'll head over to the Lutheran Church to check out Jochen Rueckert. And I'll end the night at The Little Theatre with saxophonist Adam Kolker.